Coinkite offers a number of bitcoin services, including hardware wallet such as Coldcard and Opendime. Powerful, easy to use web wallet. Receive and send bitcoin amounts from a web interface. Two factor authentication, memorable image (to resist phishing attempts) and many other security features are in place. Users are free of the burden of securing their own computer. Developers Platform, Bitkit Bitcoin API provides simple and powerful REST integrations for adding bitcoin functions into your business / application. Payment Processing, customizable Pay/Buy/Donate buttons to integrate in your website or shopping cart. Works over Tor. Point-of-sale payment terminal. 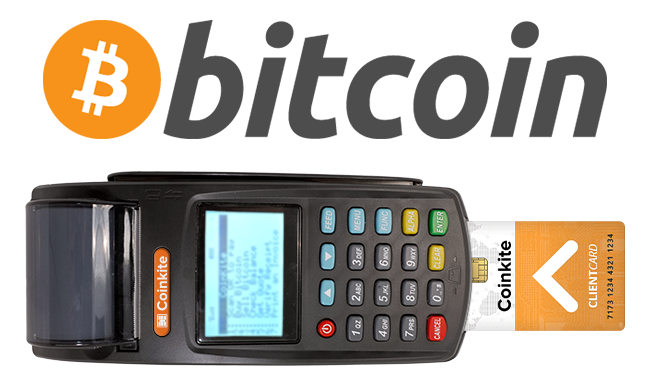 Coinkite sells a hardware device, complete with QR scanner and receipt printer that can be used to perform bitcoin transactions without a computer and in a retail setting. "Debit" Card. Coinkite offers all it's members a plastic card which can be used at the payment terminals, but is also useful anywhere as it has a bitcoin address on the back. Bitcoin sent to that address are linked to the user's Coinkite balance. all transactions occur in the public blockchain, and there is no "internal bookkeeping" of funds. monthly, yearly and pay as you go membership plans are offered. Coinkite is internally based on BIP 32 Hierarchical Deterministic (HD) wallets. Each new member receives a "welcome email" which contains the "xpubkey" (extended public key) for their deposits, and an *encrypted* copy of the corresponding xprivkey. The xpubkey can be used by the account owner to see all public keys associated with their account (both past and future). Combined with the "audit" feature, the user can fetch a list of all UTXO (unspent transaction outputs) associated with their account and verify the public key's subpath from the given xpubkey. Similarly, they can check the UTXO is correctly stored on the blockchain. Coinkite has stated that in the event of the closure or other failure of the business, they will publicize the symmetric key protecting the xprivkey values that have been distributed to members. With that key, each user could recover their funds by re-generating the private keys for each UTXO. The founders of Coinkite understood the inherent risk of trusting a third party with the private keys for your bitcoins, and this application of BIP 32 helps to address these concerns should the business disappear. The company calls this system "full reserve" since the users are in a position to verify that their funds are not being used for any other purpose than safe-keeping while on deposit at Coinkite. For a small fee (and included in some membership plans), Coinkite users may receive a physical card. This eases use of their Coinkite account at the POS terminal and the QR code on the rear is useful for making deposits. 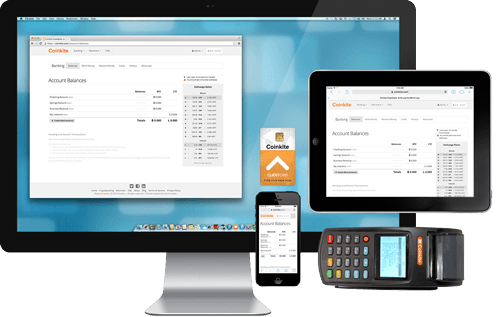 Coinkite sells a hardware device which can perform a number of transactions. It connects via GPRS (cell) or Wifi to Coinkite backend servers which perform the blockchain operations. It does not directly connect to the P2P network. The POS terminal is also useful to enable the bitcoin-based retail business. Cashiers (authorized users) can print a receipt with QR code that maybe presented to customers as a bill in bitcoin to be paid. Once paid, using any bitcoin wallet of choice, the payment can be easily verified at the terminal by scanning it's QR code. The number of confirmations for the incoming funds is displayed and appropriate warnings are shown for zero confirmation transactions. It is up to the retailer to define their policy on number of required confirmations and presumably the size of the transaction will be a deciding factor. coins are delivered to a URL or private key. The POS terminal supports Bitcoin for all operations. Coins can be delivered as a paper wallet, directly into a Coinkite account (must be pre-existing) or into web voucher (PIN code and short URL). ↑ (12/11/2013). "Bitcoin entrepreneurs want to put virtual coins in your wallet". Toronto Star. ↑ (11/11/2013). "Bitcoin in Canada, Part I: Introducing the Bitcoin Alliance of Canada". Bitcoin Magazine. ↑ nvK (10/11/2013). "(ANN) Coinkite.com (Bitcoin Wallet+Debit Card+POS Terminals)accepting invites re". bitcointalk.org. ↑ KYT DOTSON (22/10/2013). "Bitcoin Weekly 2013 September 25: Lucky Gambler Makes 11k BTC, Coinsetter to Launch Soon, Coinkite Brings POS Solution". Silicon Angle. ↑ (5/11/2013). "Coinkite". Bitcoin Wiki. ↑ (5/11/2013). "Accepting invite requests for Coinkite.com". coinforum.ca. ↑ (1/11/2013). "Coinkite". The Bit Pages. ↑ (2013). "Company: Coinkite". LinkedIN. This page was last edited on 3 March 2019, at 19:57.